These wide-eyed guys from West Elm have a new home at my apartment. I had my eye on them for awhile and luckily I have a best friend who just happened to pick them out for me. They are totally affordable and cool. 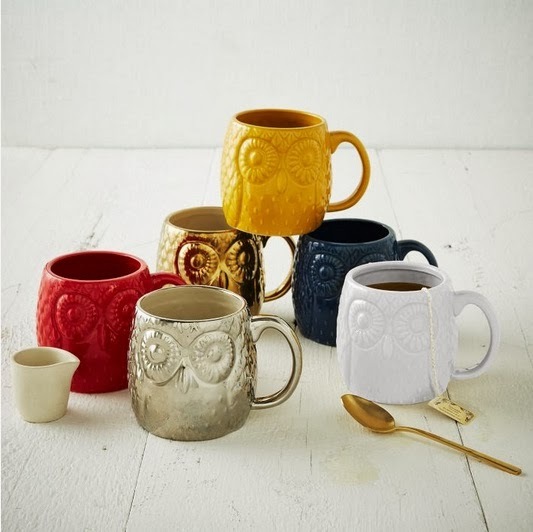 Who doesn't want an owl mug?